Show Recap – Confederate Flag – Heritage or Hate? and Much More with Charlie the Plumber and State Rep Ed Narain! 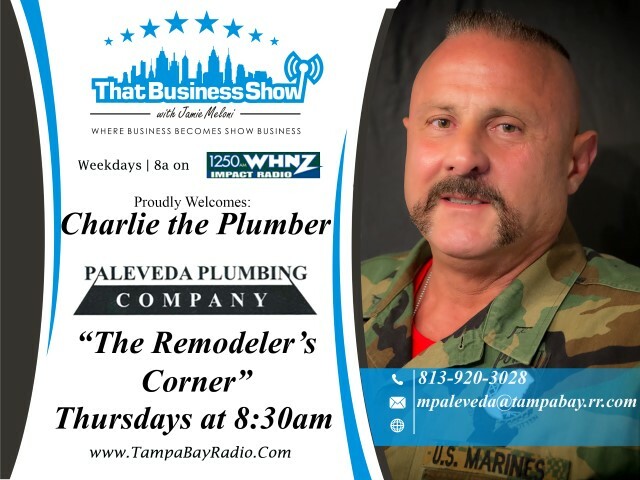 #ThatBusinessShow – weekdays at 8am on #1250WHNZ and available anywhere in the world daily at http://www.tampabayradio.com, watch us live in studio via the live stream link or on your smart phone via the iHeart Radio app. Follow me on twitter too at Jamie_meloni and http://www.facebook.com/thatbusinessshow! Watch the show replays on my YouTube channel On Demand at https://www.youtube.com/user/jamiemeloni and of course available On Demand via the Show Info Tab on http://www.tampabayradio.com! 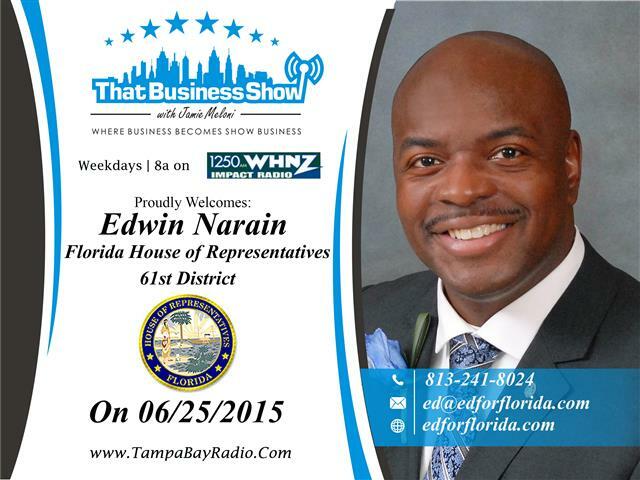 Today’s show was a spirited discussion as Edwin (Ed) Narain, House of Representatives 61st District, joined me in studio along with the always boisterous and entertaining Charlie the Plumber. Ed is an accomplished business professional and a top performer with AT&T, having won their Manager of the Year Award in 3 different years. Ed is also a graduate of USF and holds an MBA from Saint Leo University and a Law Degree from Stetson University. Given Ed’s amazing accomplishments and passion for leadership, it was only natural for people to encourage him to run for Political office and in November 2014, Ed was elected to the House of Representatives and now as a Freshman legislator, Ed serves as the Chairman of the Florida Legislative Black Caucus. The show opens with an introductory conversation with Ed about his background and path to leadership within the House of Representatives and quickly moves to some political issues as Charlie the Plumber loves to talk politics. Charlie, a chronic radio caller to a number of area radio stations, and regular contributor to #ThatBusinessShow as part of our weekly The Remodeler’s Corner sponsored by Jim Yeager of Yeager and Company, a third generation flooring and remodeling company in Odessa, FL takes us off script to liven up the discussion. Discussions around Medical Marijuana use and the hot button topic of the moment, the Confederate Flag take center stage in the discussion as Charlie defends the Heritage argument for the right to fly the flag and Ed defends the stance to remove it from political grounds. The discussion is spirited and lively but presented professionally by both sides. Overall it was a fun show to moderate as I was pretty much there today to try and control each sides talking times and give each a chance to respond but would love to hear from the listeners and readers – be sure to tag Charlie using the hashtag #AmericanPlumber in any social media posts and twitter @charliezplumber and Ed on twitter @ednarain and visit http://www.edforflorida.com for more information on Ed Narain – we’ll definitely be having more discussions coming up with Ed and Charlie for sure! 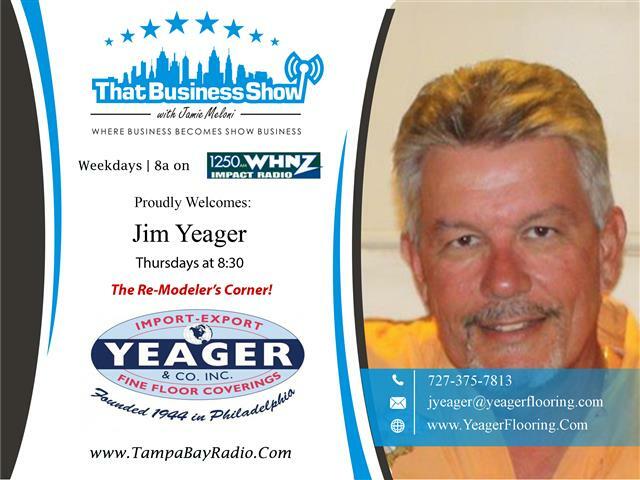 Also thanks to Jim Yeager of Yeager and Company for our weekly feature The Remodeler’s Corner and learn more at http://www.yeagerflooring.com for all your flooring and remodeling needs!